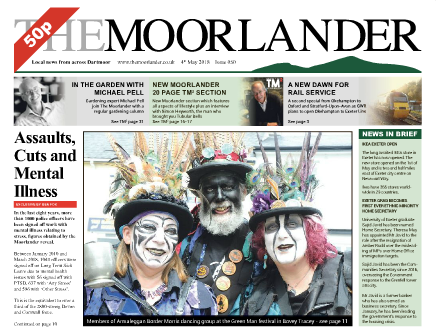 The Moorlander, a fortnightly newspaper covering Dartmoor, has begun to turn a profit after two years in print and 50 editions. The fortnightly paper was launched by former Fleet Street photographer Stuart Clarke in 2016 and now boasts a readership of 4,000 people. “I’ll freely admit the paper was born out of boredom,” said Clarke. Over his career Clarke has worked for the Mail and Sunday Times and reported on the Gulf War and conflict in Sri Lanka and South Africa. He said he believes his editorial experience and work as a photographer have helped to distinguish the Moorlander from its competitors. 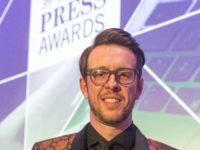 He said since the Moorlander’s launch the other two local papers – the Tavistock TImes and Mid-Devon Advertiser (both owned by Tindle Newspapers) – “have had to up their game”. During its two years of publication the local paper has campaigned against local bank and NHS closures and achieved national impact with a report on NHS waste, which was followed up by the Mail on Sunday. 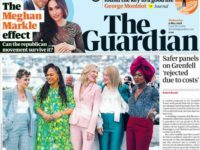 Many local papers are struggling to turn a profit amid falling circulation and advertising revenue in the face of digital disruption, with Press Gazette finding that 40 local papers had closed in 2017. The Moorlander has bucked this trend. Its last dozen editions have made a profit, Clarke said, including its 50th (and most recent) issue. Clarke said the fortunes of the Moorlander changed after Eric Partridge, who has 40 years’ experience in advertising, was employed as publisher. The Moorlander has a cover price of 50p. A yearly digital subscription costs £25. The paper, which employs ten people, has a print run of 5,000 and distributes through Smiths News to newsagents in Dartmoor, as well as parts of Plymouth, Exeter and Newton Abbot.